Step-by-step instructions show how to transform both mass produced 11 and a half inch fashion dolls and the larger 15-inch and 16-inch contemporary fashion dolls into visions of fantasy, fairies and enchanted creatures and how to create hairstyles, make-up and bodies for original designs. This is the eighth entry in Whitman's Series of numismatic titles. 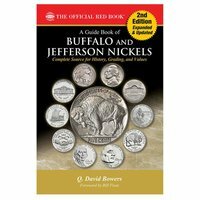 Lavishly illustrated in full color, the Guide Book of Buffalo and Jefferson Nickels features high-resolution enlargements for important overdates and other varieties. These popular coins are given the famous Bowers treatment: insightful study, plenty of fascinating historical background, and good storytelling. Certified and surviving field populations, and historical and current market prices add to the book's reference value. Appendices cover error coins, pattern Buffalo nickels, and the chronology of the nickel five-cent piece. This practical guide is aimed primarily at the budding collector and features a vast array of decorative and functional glassware. The glass is organized by type, such as plates and serving dishes, lighting, figures and busts, tumblers and goblets, and ornate bowls and baskets. Items are put into their historical context and information is provided about manufacturing techniques and the designers. Fact Files highlight key information for collectors - topics covered include identification, how to spot copies, displaying and using items, and how to pick out the best items.